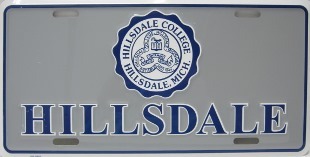 6"h X 12"w raised graphic stamped license plate with white and navy blue imprint. Baked enamel finish. Made in the USA.